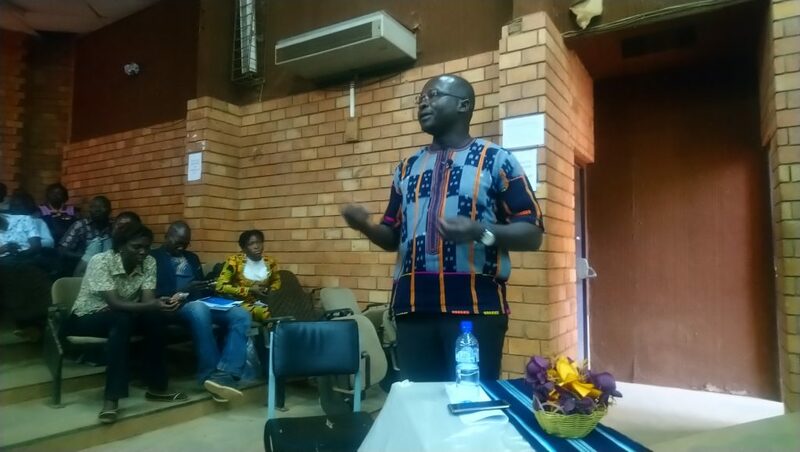 During our visit, Dr Bonkoungou organised an open seminar at the Université Ouaga 1 JKZ (Joseph KI-ZERBO) to present information about AMRIWA and our One Health research processes. 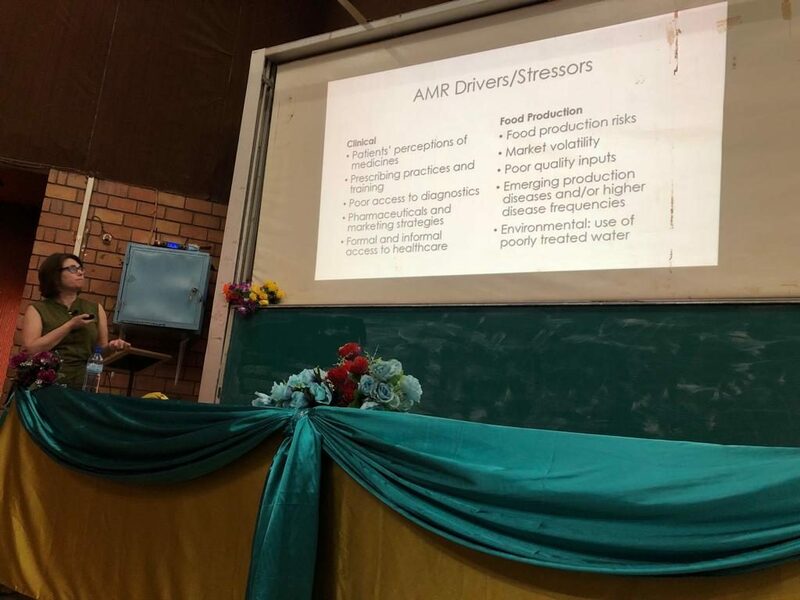 The seminar had approximately 100 attendees, ranging from students interested in forging careers in this area, to well-established faculty members, to others interested in, or those working with, the AMR challenge in Burkina. Stakeholder representatives from collaborating organisations, for example the Burkinabe Observatory for Healthcare Quality and Safety and the water services company ONEA (L’Office national de l’eau et de l’assainissement), were also in attendance, a result of the early dialogue between AMRIWA researchers and those who will be implementing the results in the future. The workshop was supported financially by the EDST-Ecole Doctorale Sciences et Technologie, Université Ouaga I JKZ and the Academy of Finland. Special guest in attendance was revered microbiology and virology Professor Nicolas Barro of the university. Dr Bonkoungou opened proceedings by outlining the AMR challenge (globally and in Africa) and One Health as the intersectorial method for tackling the AMR, before outlining the strategic objectives of Burkina Faso’s intersectorial approach to AMR that includes strengthening the evidence base through monitoring and research, introducing effective infection prevention measures, optimising antibiotic use in clinical and food production, strengthening the legal framework, and introducing effective communications and education programmes to enhance awareness and understanding of AMR and its causes. Dr Bonkoungou then outlined the aims of AMRIWA to provide information on how genes circulate between humans, animals, food, water and soils by modelling the evolution of AMR genes in sentinel bacteria (for example E. coli) and strengthening the ability to predict the AMR dynamics in Burkina Faso. Kaisa Haukka’s presentation was in two parts. For the first part, she focused upon AMR as a global health crisis by providing information on the pathways for AMR resistance genes to circulate between humans, animals and diverse environments before describing the various gene transfer mechanisms, and introducing state of the art sequencing technologies. For the second part, Kaisa outlined in more detail AMRIWA’s aims, using examples of environmental samples collected from wells, wastewater infrastructures, soils, poultry wastes, and fish guts in Burkina Faso and Mali during this field trip. She went on to discuss sequencing and observation methods that the project will apply, before demonstrating how AMRIWA is building the capacities of local researchers by training them in the use of state-of-the-art research methods and sequencing technologies relevant for monitoring AMR dynamics in the environment. My presentation outlined the sociological component of the project, giving attendees a flavour for how the social sciences are engaging with the AMR challenge according to a One Health approach. I began by outlining the problem from a social science perspective and the methods applied, before describing the three themes of the sociology component: the perceptions of medicines and prescribing practices; documenting the social practices that provide pathways for the circulation of AMR genes between humans, animals, food, water and soils; and the challenges for implementing global science policy in different national contexts, particularly for emerging economies for whom priorities may be different. I illustrated the themes with examples from current and previous research, before describing the use of visual methods as a means of opening up communication between communities, scientists, and policy actors. Following the presentations 45 minutes were allowed for questions. These included requests for clarification of both the microbiological and sociological methodologies, along with questions from students wishing to know how they can move forward in the field of AMR research. Ouagadougou based magazine Infos Sciences Culture, Les Journal de la Culture et des Sciences included a feature of the seminar in its February 2019 edition. Yet another event from Cultures of Cultures next year. We have organised an open panel in the next 4S Conference, which will take place in New Orleans between the 4th and 7th of September, 2019. The deadline for submission is on the 1st of February, 2019. Find below the abstract to our panel. More information about the conference and the submission can be found following this link. During the past decade, microbes have come to occupy new and central spaces in scientific enquiry as well as their social analysis. As microbes mutate, adapt and evolve towards resistance to antibiotics, there is mounting pressure to search for new ways of preventing illness. While antibiotics are no longer readily available to do their ‘magic’, new social forms that enable peaceful coexistence with microbes are emerging, instead of a war against microbes that Pasteur established and Latour documented in Pasteurisation of France. Societies are rethinking relationships between humans, animals, and environment in radically new ways, e.g. by building immunity through fermentation or enhancement of gut microbiota; development of vaccines, phage therapy or novel antibiotics; and promotion of sustainable food production. In this process, drug resistance is not only framed as a medical concern but also social, economic and political. Re-situation of microbes is present in biomedical research and care, policy and governance, and everyday practices. 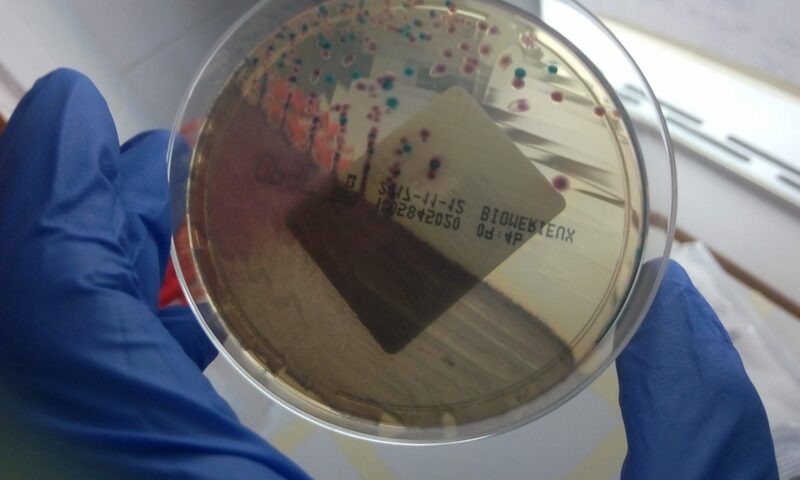 STS offers tools to regenerate understanding of microbes; interruptions caused by the absence of efficient medical countermeasures; and innovative practices that emerge as a result. This panel puts microbes at the centre of social analysis and opens up new avenues for thinking about microbial knowledge, governance, and more-than-human relations. New communities of knowledge around new practices with microbes. The session is organized by Salla Sariola; salla.sariola (at) helsinki.fi, and Jose A. Cañada; jose.a.canada (at) helsinki.fi. Feel free to get in touch with them if you have any questions about the session! Inside the context of Cultures of Cultures, some of our members have organised a thematic session in the next NordicSTS Conference, which will take place in Tampere during the 13th and 14th of June, 2019. The deadline for submission is on the 18th of January, 2019. More information about the conference and the submission can be found following this link. Abstract: During the past decade, 130 years after the discovery of microbes, microbes have come to occupy new and central spaces in scientific enquiry as well as their social analysis. Faced by the threat of antimicrobial resistance (AMR) and with more knowledge of the impact of healthy gut microbiota to human health in general, science is beginning to change its understanding of microbes, infections and antibiotics. On the one hand, microbes are being redefined as supportive non-human neighbours whose number vastly exceeds the number of humans on the planet. On the other, the prospect of increasing resistance requires redefinition of how infections are cured and prevented. Consequently, relationships between humans, animals, and environment are changing, evident e.g. in the practices of building immunity through fermentation or enhancement of gut microbiota; development of vaccines against bacterial infections, phage therapy or novel antibiotics; promotion of sustainable food production; and readjustments in mundane medical practices. This re-situation of microbes is present in biomedical research and care, policy and governance, and everyday practices in medical contexts and households. STS offers tools to regenerate understandings of the microbial more-than-human forms of life and their governance; human-microbe relations; interruptions caused by the absence of efficient medical countermeasures to AMR; and innovative practices that emerge as a result. Everyday practices in households that regenerate human-microbe relations (e.g. fermentation). The session is organized by Salla Sariola; salla.sariola (at) helsinki.fi, Jose A. Cañada; jose.a.canada (at) helsinki.fi, and Tiina Vaittinen, tiina.vaittinen (at) uta.fi. Feel free to contact them if you have any questions about the session! On Monday, 26th November 2018, Helsinki’s historical Paasitorni Congress Centre hosted the seminar Research to Make an Impact! I attended the seminar, along with AMRIWA team members Jose Canada, Kaisa Kaukka, Anniina Sarekoski, and PI Anu Kantele. 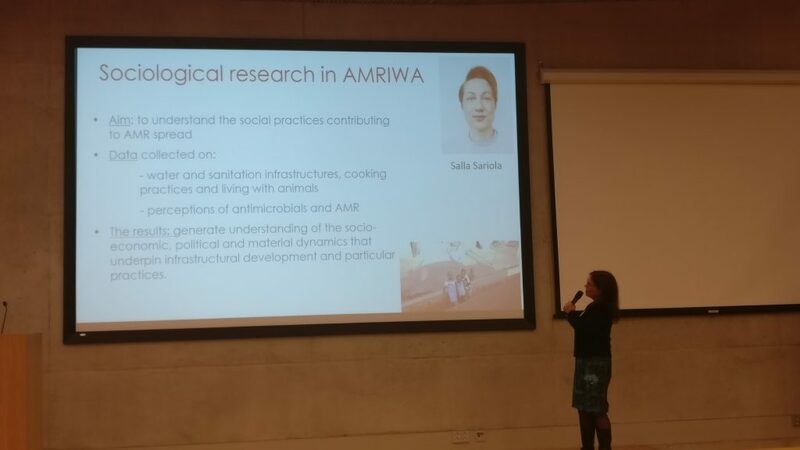 This ‘kick-off’ seminar was organised by the Academy of Finland to display projects funded in the 2018-2022 call for the Academy Programme of Development Research, of which our project Occurrence, Sources and Prevention of Antimicrobial Resistance in West Africa forms a part. As a recent migrant to these academic shores, I found the day particularly useful not only for understanding more about the programme of development research that I am working within, but also to familiarise myself with Finnish funding structures, and the kinds of research being funded in this particular field. A condition of funding is the ability of projects to deliver demonstrable ‘impact’ in partner countries. Stated methods for achieving impact are strengthening partner research and technical capacities, and working towards the achievement of one or more of the SDGs. A further condition for funding is evidence of a human-rights-based approach to research, concretely addressing issues of inequality in gender and minorities, and unequal access to natural resources, healthcare and education. Following the introductory words, the first Keynote, former president of Finland Tarja Halonen (2000-2012), opened the seminar with a speech emphasising the importance of social justice, protecting the rights of minorities, and our obligations to strengthen inclusiveness and democratic values within Europe and globally. Following President Halonen was political scientist and UNU-WIDER research fellow Rachael M. Gisselquist, who used her Keynote address to explore the space between applied and pure research—a space she calls ‘engaged frontier research’. Poised between the instrumental impact of applied research and the conceptual impact delivered by pure research, Dr Gisselquist defined the engaged frontier research are the ‘uncomfortable middle’, a delicate balancing of research and policy whereby impact is probable, but may be diverse, diffuse, and difficult to measure. Adequately measuring impact, she argued, involves moving away from reliance upon the tools of randomised impact evaluations towards analysis of when aid works and within what kinds of projects. Methods for achieving this include comparing contexts and outcomes, and analysis of how outcomes/findings carry or don’t carry across different contexts. Representing AMRIWA, Anu Kantele gave an engaging presentation that emphasised the scale of the AMR problem, how our novel bioinformatics techniques can be applied to locate AMR hotspots, and the importance of the social and bioscience collaboration in designing interventions targeting use and pathways of transmission. Or at least it was clear to those of us in the project! I’m pretty sure the rationale and outcomes were clear to other participants as well. Other presentations in this segment (following coffee late afternoon) were the projects delivering technologies for improving grain safety and preparing to respond to emerging zoonotic infections, and the potential synergies with our work were clear. Also on display was the strength of Finnish social sciences in leading research for strengthening development in low and middle-income countries, with projects examining opportunities and challenges for operationalising citizenship, educational pluralism, equality and democracy in transformative situations. Specific themes included access to education and employment, sustainable livelihoods, and water and climate vulnerability. Coming from the UK, I was struck by the number of social science-led projects receiving funding. The UK has a similar research programme, the Global Challenges Research Fund (GCRF), jointly managed by the Department for International Development (DfID) and Research Councils UK (RCUK). The fund aims to build research and innovation capacities in developing countries, and is thus driven by knowledge and technology transfers. As a consequence, the social sciences often remain instrumental to delivering technical outcomes rather than driving transformative research that renders visible and breaks down inequalities and uneven power structures between and within target communities, or research that examines perceptions of what development is and does. As an anthropologist and human geographer in the field of development studies, I was encouraged by the leadership Finland’s social sciences in this global field. It was also encouraging to hear both presenters and members of the audience cautioning against ‘impact’ as a narrow short-term measure of socioeconomic improvement and programme success, emphasising instead the importance of establishing robust relationships that impactful endeavours can be built on, and observing the emergence of impact over longer time-scales, and within incidental or currently unknown sites. Less clear, however, was evidence of an overall coherence to the Develop Programme. Granted, a delicious lunch, a post-seminar buffet and drinks gathering provided opportunities for participants to network and discuss potential synergies and collaborations, or to share experiences with those planning to submit proposals in future calls. Overall though, the seminar structure could have given more space to bringing themes together and exploring possible synergies during the sessions, demonstrating how the projects work together to meet the aims of the programme. Nevertheless, the ambitious themes the seminar addressed—development as a human right, delivering impact at the frontiers from the ‘uncomfortable middle’, and making instrumental use of Finnish scholarly and technical expertise, clearly signposted the direction of development research and interventions the Develop programme works towards, and the principles that guide it. 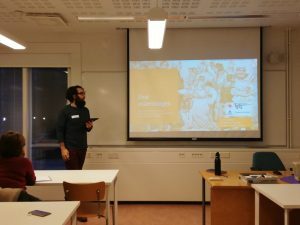 Four members of Cultures of Cultures had the chance to present their work last week at the 23rd annual colloquium of the Finnish Society for Environmental Social Science (YHYS), which was held at the University of Lapland, Rovaniemi. This year’s theme was ‘Naturecultures’, a notion central to some of the work done in the context of Cultures of Cultures. This year’s colloquium had four keynote speakers: Professor Laura Watts from the University of Edinburgh, Professor Rauna Kuokkanen from the University of Lapland, University Researcher Päivö Kinnunen from the University of Oulu, and Professor Phillip Vannini, Royal Roads University. 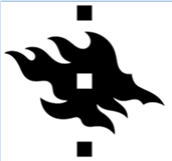 They dealt, respectively, with topics related to material-semiotic understandings of electricity production; indigenous communities and gifting; the role of applied sciences on sustainability; and naturecultural ways of understanding wilderness. 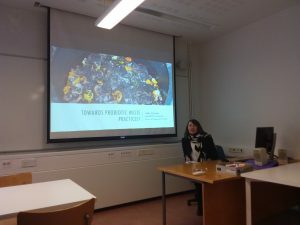 Cultures of Cultures attended the session titled ‘Probiotic living in compromised times’, organized by University Lecturer Veera Kinnunen, from the University of Lapland and Cultures of Cultures’ PI Salla Sariola, which consisted of five presentations. The session kicked off with Jose A. Cañada’s, Postodoctoral Researcher at the University of Helsinki, presentation on viral assemblages and the boundaries that emerge and are challenged in pandemic preparedness and response, paying especial attention to the more-than-human nature of those assemblages. 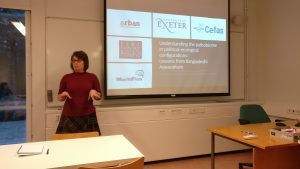 The second presentation was given by Andrea Butcher, also a Postdoctoral Researcher at the University of Helsinki, who discussed political-ecological configurations in understanding the pathobiome in Bangladesh. There, Andrea has studied the challenges of antimicrobial resistance in aquacultures and, more concretely, the struggles of shrimp and prawn farmers, institutions and supply chain actors to manage the microbiomes of ponds give the specific political-ecological context where they are situated. 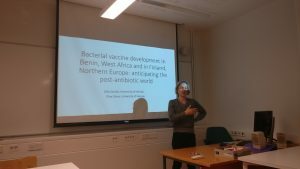 Third, Salla Sariola, Senior Lecturer at the University of Helsinki, presented her study of a vaccine trial in Grand-Popo Benin, organized and carried out by Finnish researchers with Finnish tourists as trials. The study tries to develop a bacterial vaccine to circumvent the use of antibiotics in the treatment of diarrhoea. The study especially highlights the post-human character of vaccines and the role of microbes in the social despite their invisibility. 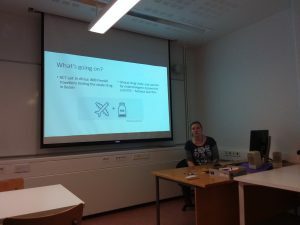 Jenni Saarenketo, Master’s student from the University of Turku, continued discussing the same vaccine trial from the perspective provided by 800 questionnaires about illness, travel, and research experiences filled by study participants. The analysis showed a rethinking of concepts of cleanliness, purity, and sanitation while, at the same time, highlighted the practical, symbolic and abstract dimensions through which microbes become configured. University Lecturer Veera Kinnunen, from the University of Lapland, gave the last presentation. She discussed human-microbe relations in Bokashi practices. As Bokashi practices, a method of composting organic waste through fermentation originating from 1980’s Japan, appears as an alternative to the problem of organic waste management, Veera has been studying Bokashi collectives. In her study, Bokashi appears as a caring practice between humans and microbes that offers the chance to understand human-nonhuman relations in different terms. The session was especially useful in creating synergies between the different projects presented and showing clear lines for collaboration that will certainly be relevant in the future of all Cultures of Cultures related projects. All the presentations brought out similar topics that are relevant in understanding human-microbe relationships. There was a clear interest in developing methodological approaches that assist us in better understanding more-than-human relations, as well as in the utility of specific theoretical concepts. Furthermore, a key theme was the study of microbes beyond health contexts, as exemplified by Bokashi methods and other fermentation practices. Overall, the session helped to highlight the many existing possibilities studying microbes from a social scientific perspective. 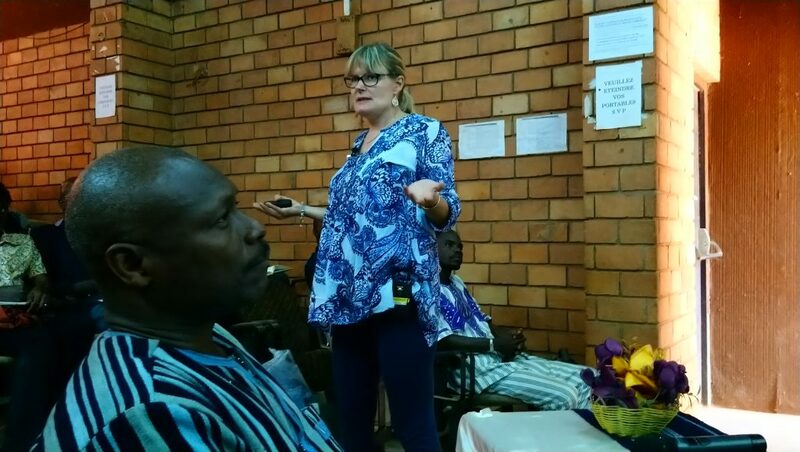 Kaisa Haukka and Salla attended the AMR – One Health conference in Benin. The event was organized by AMRIWA partners in Benin, Prof Dissou Affolabi and his team. 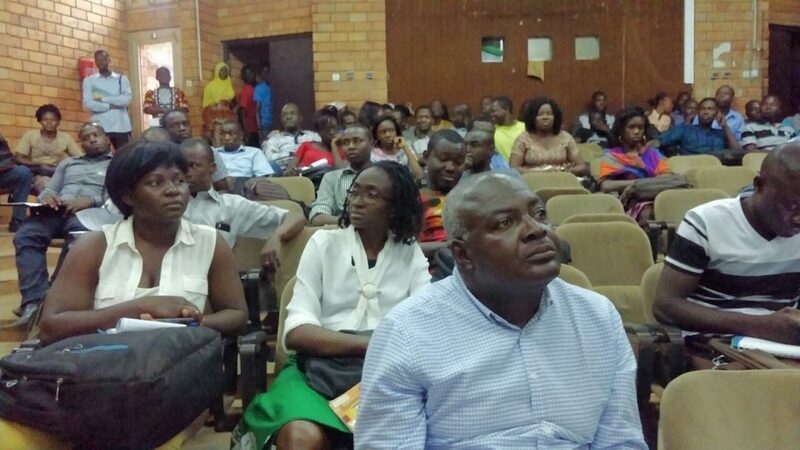 The event was attended by West African researchers and doctors and WHO staff working on AMR. During a round table discussion., Dr. Bernadette Ramirez from WHO asked participants to raise their hands about their backgrounds to get a sense which fields the members of the audience came from. The point that she was making was that to tackle AMR, a One Health approach was needed because resistant bacteria move between human, animal and environmental sources. When she asked how many people in the audience were from environmental studies, one person raised her hand, Kaisa. When the animal and veterinary side was enquired, about 6 people raised their hands. The rest were from clinical backgrounds, apart from one social scientist, Salla. 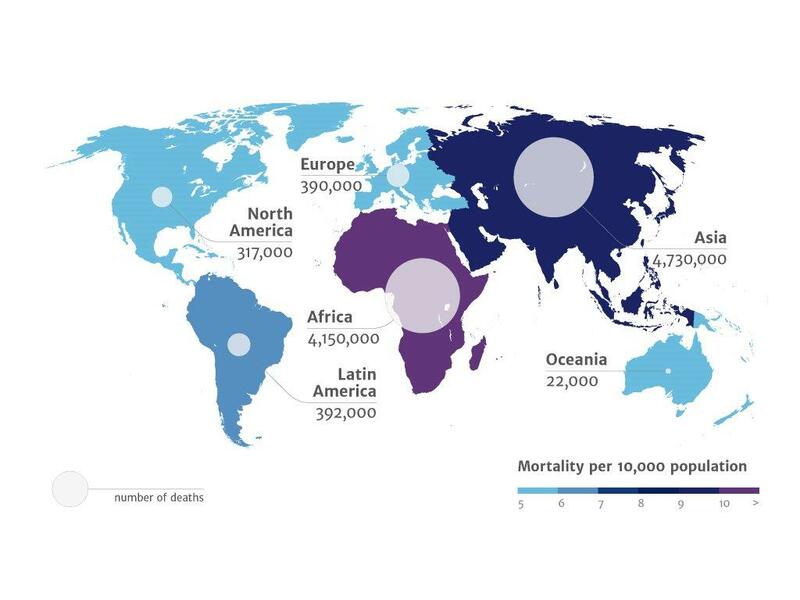 The presentations were a mix of talks by WHO policy makers about global recommendations; concerning microbiological and clinical prevalence, and regarding different methods used to gauge the prevalence of AMR. 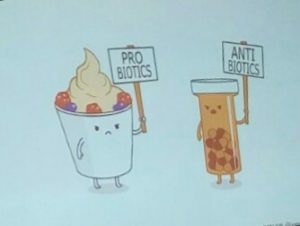 Among the talks there were also presentations that described practices that spread AMR, and the unregulated and wide use of antimicrobials for humans and animals. Listening to the talks, very quickly it became clear that development plays an important role in the spread of AMR, meaning that why AMR spreads is as a complicated multi-sectorial problem defined by absences: infrastructure, and technical skills. Issues underlying the spread of AMR that the participants identified included: not of following basic sanitation practices (such as hand wash) in some hospitals and health care centres; expectations for rapid recovery by people that leads to the use of pharmaceuticals without prescription; low awareness of antibiotics among pharmacists and health care practitioners; unavailability or imprecision in diagnostic tests; weak collaboration between different government sectors; absence of regulation for animal antibiotic use; over-medication with antibiotics both as treatment and as prophylaxis for both humans and animals; absence of AMR surveillance structures nationally and regionally; disconnect between researchers and policy makers and practitioners; the list goes on… These challenges provide some explanations for why Africa has the highest number of AMR related deaths in the world. 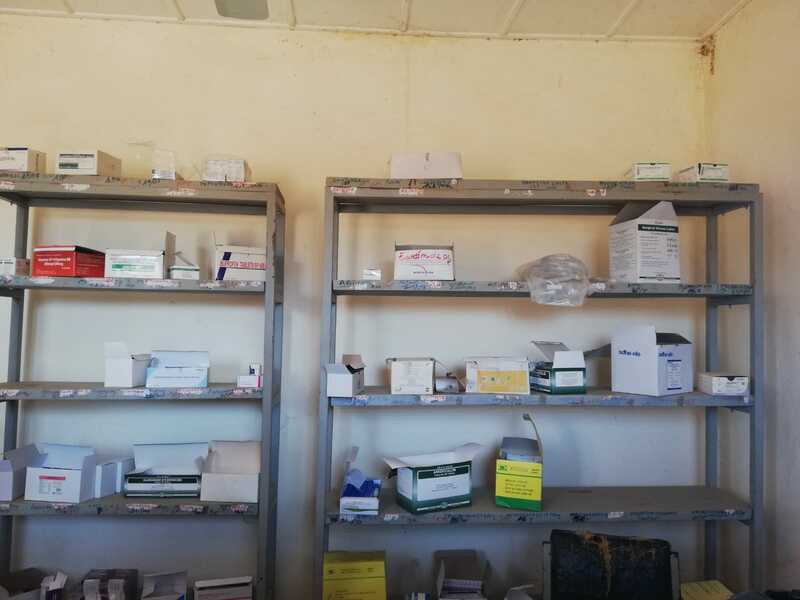 Clearly, there is much scope for social sciences to emphasize that AMR is not merely a biological condition but that the practices that drive its spread are social. Biomedicine alone cannot solve this multi-faceted issue. 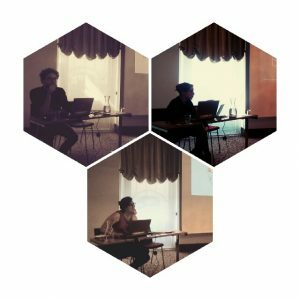 Charlotte Brives, Matthäus Rest and I organised a panel at the 17th STS conference in Graz. The panel, entitled Microbial Living in the time of Antimicrobial Resistance, included four great papers. All of them were based on new or established fieldwork of various multi-species encounters including microbes with various analytical foci: viruses, fermentation with bacteria and yeasts, faeces, and alternatives to antibiotics, as well as the practices by scientific groups researching them and communities using microbes to e.g. ferment and store foods. Based on his work with the Heirloom Microbes, Matthäus Rest presented on Jordan’s vanishing dairying cultures, or: How to build a culture bank? Charlotte Brives’s paper concerned her long terms work on Bacteriophages and living in the ruins of antibiotics. Andie Thompson presented on the Black queen hypothesis in locating resistace. My paper, co-authored with Elina Oinas, described encounters between different species during a vaccine trial in Benin.